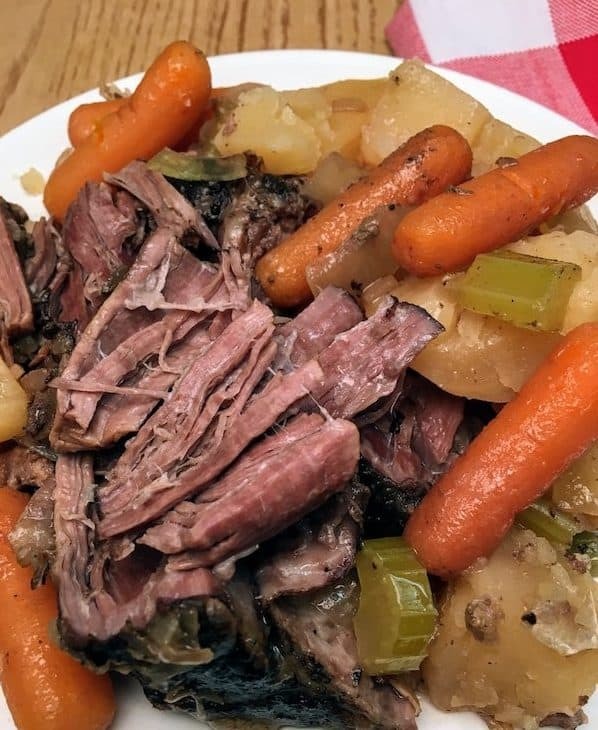 Slow Cooker Pot Roast is a mouth-watering, healthy meal that will feed the entire family. 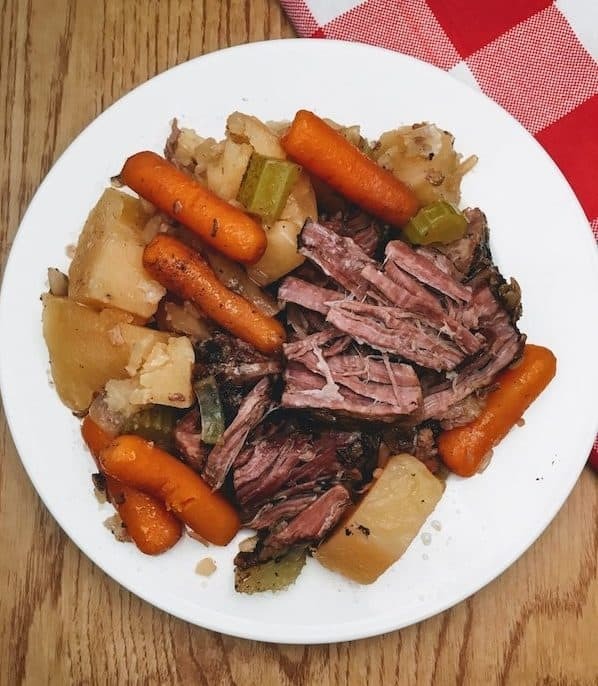 I gotta say, pot roast is one of my all-time favorite meals–for several reasons. 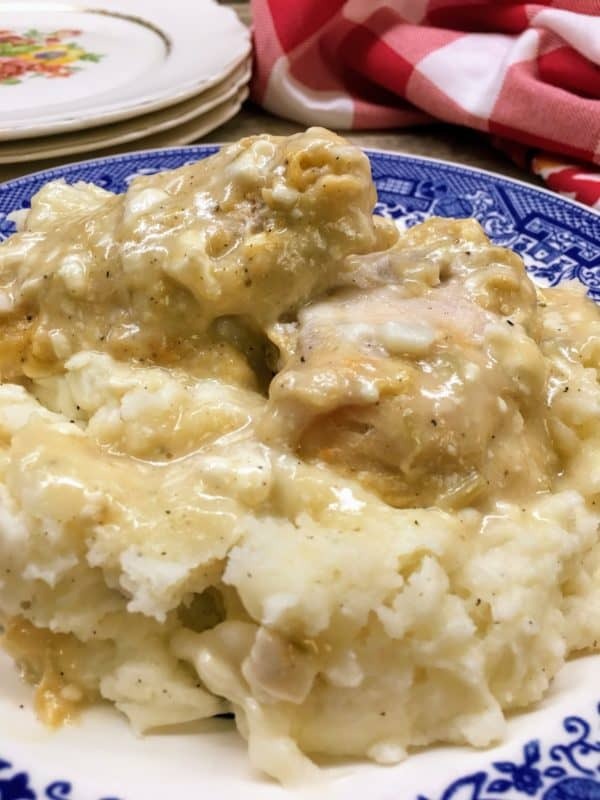 It takes me about 15 minutes to peel the potatoes, chop some onions and celery, and add everything to the Crock Pot. And after picking up kids from school, going to practices, and running errands, it’s nice to come home to a finished meal. 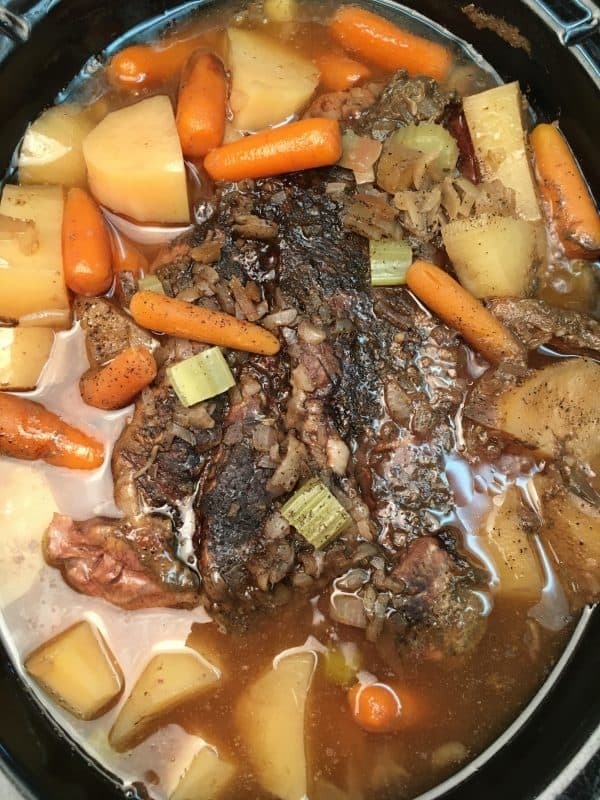 I love the way the roast falls apart and the veggies are soft and piping hot. There’s a whole intermingling of flavors that is just amazing. You can add just about any type of veggie, red wine vinegar, onion flavoring, or anything you’d like. Peel and dice the potatoes and put them into the bottom of the Crock Pot. Cut up the celery and the onion and add it in. I use baby carrots and just put those in whole. I also buy minced garlic in a small jar. It just makes life easier and I can spoon some out and put it in the slow cooker. Add the chuck roast and sprinkle the packet of dried onion soup on top. Add the chicken broth and water. Add a pinch of salt and pepper to give it some more seasoning. I didn’t add too much salt, because the onion soup can be a bit salty. 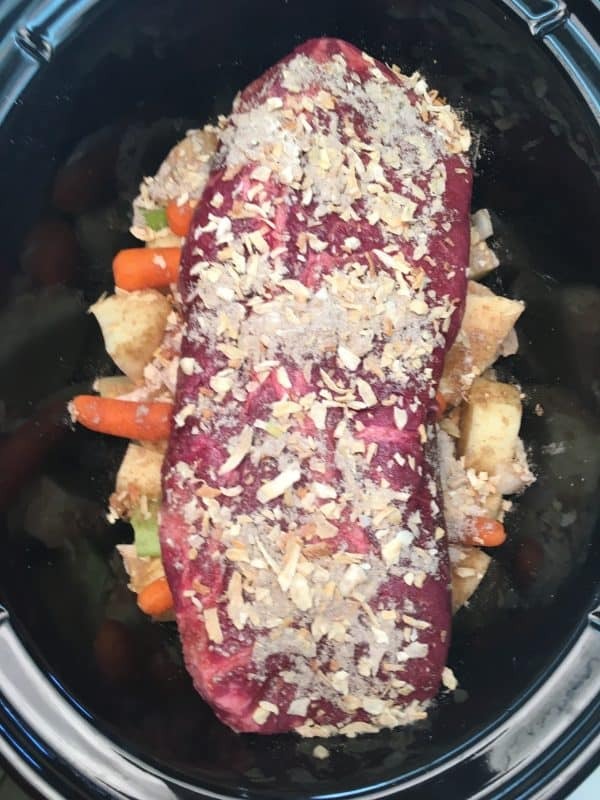 Slow Cooker Pot Roast is a somewhat budget-friendly meal. I spent around $20 for everything. 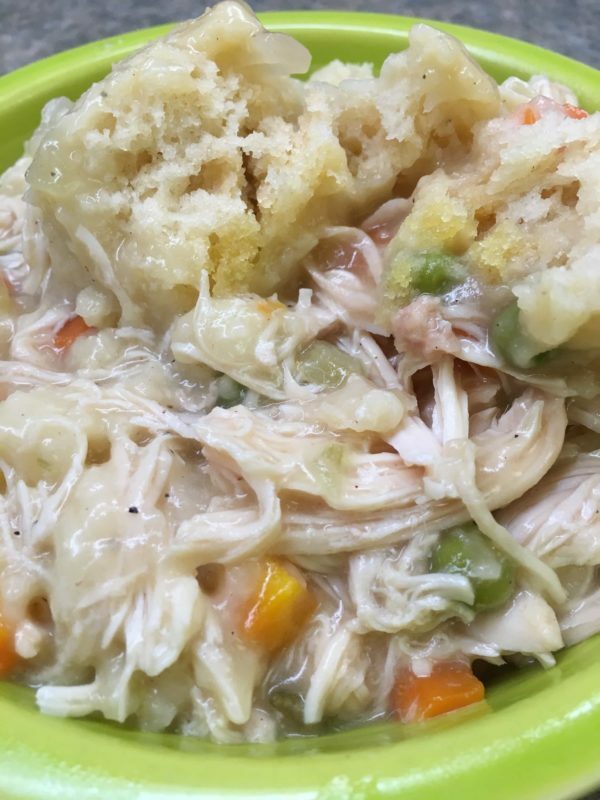 We have two adults and two growing middle school boys and we got two good, full meals out of the recipe. We love leftovers here. 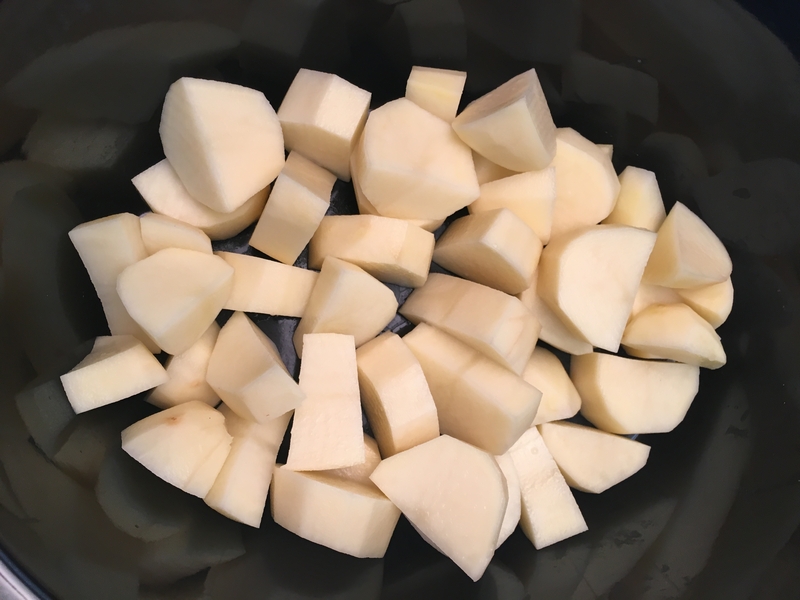 Peel the potatoes, cut them into 1-1/2" pieces, and add to the slow cooker. 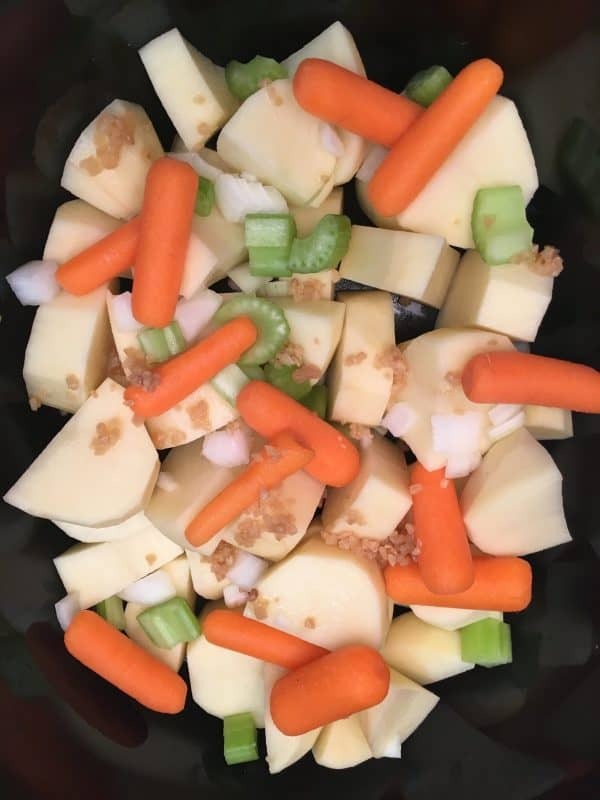 Dice the onion and celery and add it to the slow cooker, as well as the carrots and garlic. Add the chuck roast on top and sprinkle the onion dip over the top of the roast. 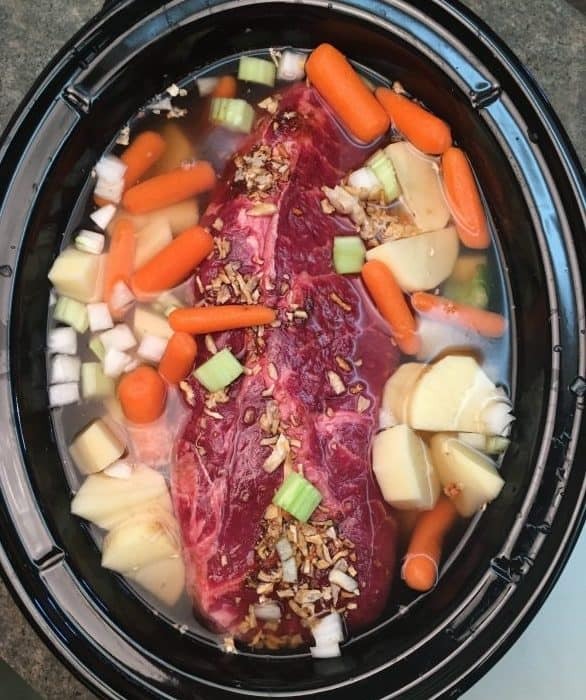 Add the can of chicken broth and 2-1/2 cans of water to the slow cooker. (You might need a little bit more or less water, depending on the size of your slow cooker). Set on low and cook for 8 hours or until the roast is tender. Isn’t it fun to have those memories? Love them!